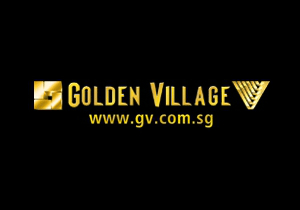 Subscribe to get deals from hundreds of merchants including the best of Golden Village! A customer who holds a HSBC credit card (except HSBC Corporate card, and HSBC Debit card) issued by HSBC Bank (Singapore) Limited (“HSBC”) in Singapore (such HSBC credit card, a “Card”) as a credit cardholder and whose credit card account is in good standing with HSBC over the entire Promotional Period (as defined below) and at the time of fulfilment (as determined by HSBC at its discretion) and who fulfils these terms and conditions (such customer, a “Cardholder”) shall be eligible to participate in the promotion (“Promotion”). This Promotion is valid from 1 March to 31 May 2019 (both dates inclusive) (the “Promotional Period”). The S$2 discount per movie ticket is applicable for 2D (standard cinemas), 3D (standard cinemas), Gemini, Deluxe and Duo Deluxe movie ticket, limited to 6 tickets in a single transaction for the first 7,000 tickets redemption per month, while stocks last. Promotion is valid only on GV website at www.gv.com.sg and iGV, and not valid for box office purchases, Gold Class, D-box, Grand Seats, 2D ATMOS, 3D ATMOS, film festivals, film marathons, premieres, group bookings, special movie packages, discounted tickets for senior citizens and with any other offers or promotions. Promotion is not applicable for sneak previews and during the first week's screening of blockbuster titles. Promotion is not valid for eve of and on all public holidays. Promotion does not guarantee seating and ticket availability. Ticket(s) printed is not refundable. Payment must be made using a HSBC Credit Card. HSBC is not the supplier of and accepts no liability for the goods and services provided by the Merchant involved in this Promotion. Golden Village Multiplex Private Limited and HSBC reserve the right to vary any of these terms and conditions, or to withdraw this Promotion, at any time in their discretion without prior notice. For full details on the Card, visit www.gv.com.sg/GVPromotions. All information is accurate as at time of publishing or posting online.. Please always check with the merchant on the validity of the promotion before purchase. A customer who holds a HSBC credit card (except HSBC Corporate card, and HSBC Debit card) issued by HSBC Bank (Singapore) Limited (“HSBC”) in Singapore (such HSBC credit card, a “Card”) as a credit cardholder and whose credit card account is in good standing with HSBC over the entire Promotional Period (as defined below) and at the time of fulfilment (as determined by HSBC at its discretion) and who fulfils these terms and conditions (such customer, a “Cardholder”) shall be eligible to participate in the promotion (“Promotion”). This Promotion is valid from 1 March to 31 May 2019 (both dates inclusive) (the “Promotional Period”). The S$2 discount per movie ticket is applicable for 2D (standard cinemas), 3D (standard cinemas), Gemini, Deluxe and Duo Deluxe movie ticket, limited to 6 tickets in a single transaction for the first 7,000 tickets redemption per month, while stocks last. Promotion is valid only on GV website at www.gv.com.sg and iGV, and not valid for box office purchases, Gold Class, D-box, Grand Seats, 2D ATMOS, 3D ATMOS, film festivals, film marathons, premieres, group bookings, special movie packages, discounted tickets for senior citizens and with any other offers or promotions. Promotion is not applicable for sneak previews and during the first week's screening of blockbuster titles. Promotion is not valid for eve of and on all public holidays. Promotion does not guarantee seating and ticket availability. Ticket(s) printed is not refundable. Payment must be made using a HSBC Credit Card. HSBC is not the supplier of and accepts no liability for the goods and services provided by the Merchant involved in this Promotion. Golden Village Multiplex Private Limited and HSBC reserve the right to vary any of these terms and conditions, or to withdraw this Promotion, at any time in their discretion without prior notice. For full details on the Card, visit www.gv.com.sg/GVPromotions. All information is accurate as at time of publishing or posting online. Promotion Period: 15/03/2016 to 31/12/2018. Offer is not valid on Public Holidays and eves of Public Holidays.. Please note that the DBS GV iCard program sign-up has ceased with effect from 31 December 2017. DBS Cardmembers who are existing iCard members can continue to enjoy the above privileges until expiry of their iCard. For full details, please visit www.gv.com.sg. Offer is valid for all DBS/POSB Credit and Debit Cards issued in Singapore. Not valid for DBS/POSB Corporate Credit & Debit Cards.. Full payment must be made with a DBS / POSB Credit or Debit Card to enjoy the offers.. Offer is not valid for box office purchases (except for Gold Class), premium-priced films/cinemas/seats, film festivals, film marathons, premieres, group bookings, special movie packages, discounted tickets for senior citizens and with any other offers or promotions.. Offer is not applicable for Sneak Previews and during the first week's screening of blockbuster titles.. Offer does not guarantee seating and ticket availability.. Ticket(s) printed out is not refundable.. Golden Village reserves the right to amend any terms any conditions without prior notice.. The cardmember shall not under any circumstances hold Golden Village Multiplex Pte Ltd liable for any losses or damages arising directly from this Golden Village & DBS / POSB Credit or Debit Card Movie Privileges programme.. Visa (preferred) and MasterCard only.. DBS General Promotion Terms & Conditions apply, visit www.dbs.com.sg/dbscardstnc.. Please always check with the merchant on the validity of the promotion before purchase.